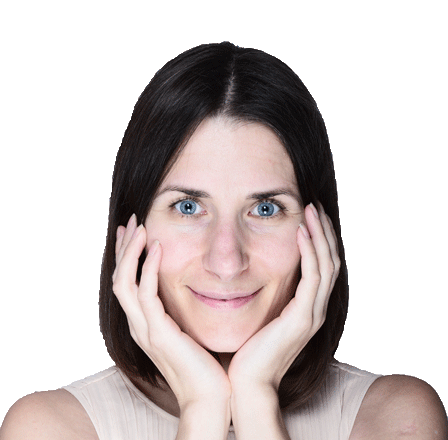 Working in the fashion industry for 10 years in design and development clearly showed me that fashion is repeating itself over and over again. Style trends come and go in a repetitive time and manner. There is no need for new clothes every few weeks. 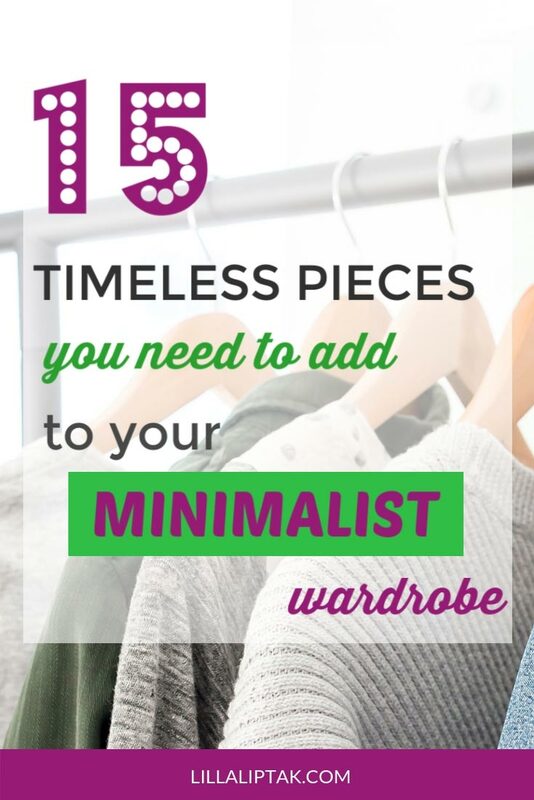 Create a timeless capsule wardrobe instead and save yourself money and the nerve-wracking question “what should I wear”. 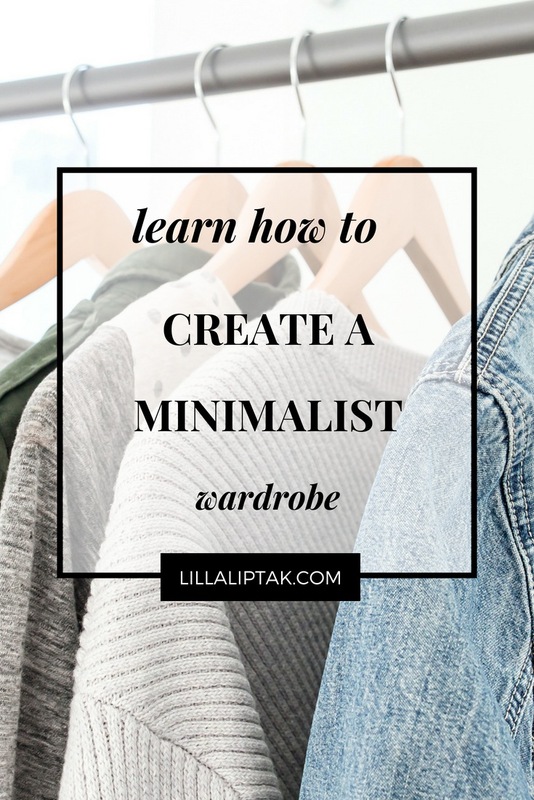 The following 15 must-haves for a minimalist, capsule wardrobe are true basic wardrobe key pieces. They can be worn the whole year around, are timeless and can be combined in a lot of ways with each other or in combination with exceptional clothes and accessories. I personally own and love them myself as well and can recommend seeing which basics you love! 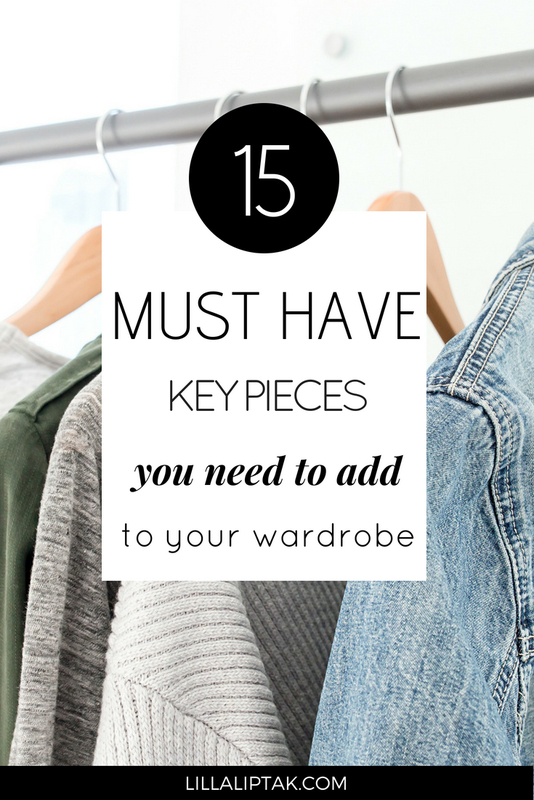 Take a look and get inspired to create your own capsule wardrobe with timeless key pieces! 2 pants, 1 dress, 1 skirt, 1 blouse, 3 shirts, 1 jacket, 1 blazer, 1 knitted sweater, 1 coat, 2 pairs of shoes and 1 backpack! It can be worn the whole year round for various occasions. For work as well as for free time activities! Timeless stylish black pants can be combined with nearly everything. Get this black pants from Amazon. Cute everyday pants for all situations. Get this cute organic cotton skinny pants from Amazon. Coco Chanel knew the importance of the little black dress. Every woman needs to have (at least) one! A black dress can be worn for nearly all situations and combined in a classy way with a white pearl necklace a la Coco Chanel or can be also worn in a casual way with sneakers. A black dress is timeless and beautiful. Get this cute little black dress from Amazon. A black skirt is just like the black dress a must-have for every woman! The possibilities to combine this skirt are nearly endless. Get this comfy black skirt from Amazon. This casual oversized, white blouse can be worn with a skirt, with both above-mentioned pants as it is or when it gets a bit colder outside under a sweater. Get this blouse from Amazon! Another wardrobe essential is the striped shirt. Whether in marine blue or black on white or vice versa the striped shirt is a must-have. Get this striped shirt from Amazon! The plain white shirt is just like the black pant a true all-rounder. This shirt is made of organic cotton and fair trade. Get this shirt from Amazon! The classic companion to the white shirt is the black shirt. This black shirt is also fair trade and made of organic cotton. The classic casual denim jacket is the perfect addition for cold summer nights or for the seasons in between. Spring and Autumn. Get this classic denim jacket from Amazon! The black long blazer can be worn either with a black skirt or in combination with the striped shirt and denim pants. If you don´t have one you should get one. Get this long blazer from Amazon! This Hygge oversized sweater is an absolute must-have for the colder days and nights. Get this knitted sweater from Amazon! This comfy oversized wool coat keeps you warm in the cold autumn and winter time. Get this grey oversized coat from Amazon! Beautiful black ankle boots is a must-have for your feet to complement your capsule wardrobe. They are classy and timeless! Get these beautiful ankle boots from Amazon! White sneakers are the perfect fit for a casual style. Wear them with your denim pants or combine it with a blouse, black pants, and a blazer. Get these true allrounders from Amazon! A backpack for all situations! I personally love the Fjällräven backpacks and use them everywhere. They have a huge amount of colors you can choose from. I myself own this gorgeous backpack in the color brick. Get this backpack from Amazon! Like what you see? You can shop for them instantly by clicking on the images below!